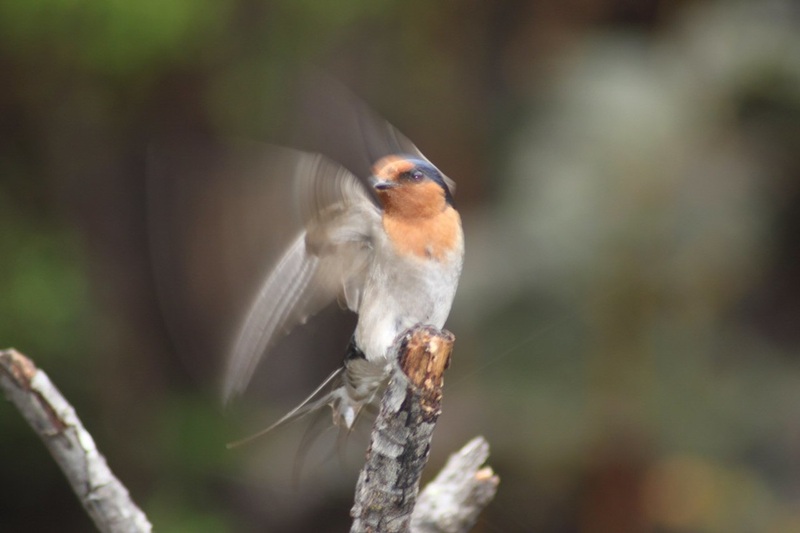 Spring has well and truly sprung, and birds are singing and nesting – ready to be counted for BirdLife Australia's fourth annual Aussie Backyard Bird Count. 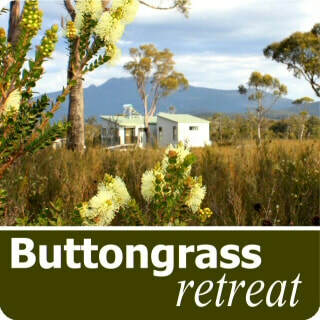 Huon Bush Retreats and Buttongrass Retreat are offering discount rates for selected multi night stays around the time of the Great Aussie Backyard Bird Count. Spend two or three days enjoying nature walks and counting birds as you go. 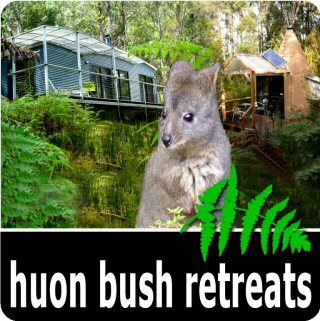 Minimum stay is 2 nights, (minimum 3 nights if including a Friday or Saturday night at Huon Bush Retreats) Rate includes 2 adults using one bed. Extra people can be added $40/nt. All cabins include one queen bed. Extra beds might be bunks or rollaway beds. The exact cabin will be allocated on arrival. 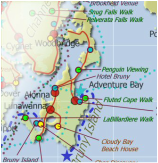 ​Book your accommodation using the chart below, then go to the Great Aussie Bird Count website to register and get your app. The #AussieBirdCount is a great way to connect with the birds in your backyard, no matter where your backyard might be — a suburban backyard, a local park, a patch of forest, a farm, down by the beach, or the main street of town. Your backyard can be anywhere you find birds. Each count takes 20 minutes and the data collected helps BirdLife Australia to better understand the birds living where people live. You can do one or more counts during your stay. Maybe do 2 different times of day in 2 different habitats. And as a little extra incentive, there are some incredible prizes to be won! ​The Delta Aquarid meteor shower is about to peak. It will continue through August, overlapping with the Perseids meteor shower. The best viewing time is roughly 1-4 a.m. Find an open sky away from artificial lights, lie down on a deck chair or an outdoor bath and look directly upward. This will naturally direct your gaze to near the apparent centre of the shower. 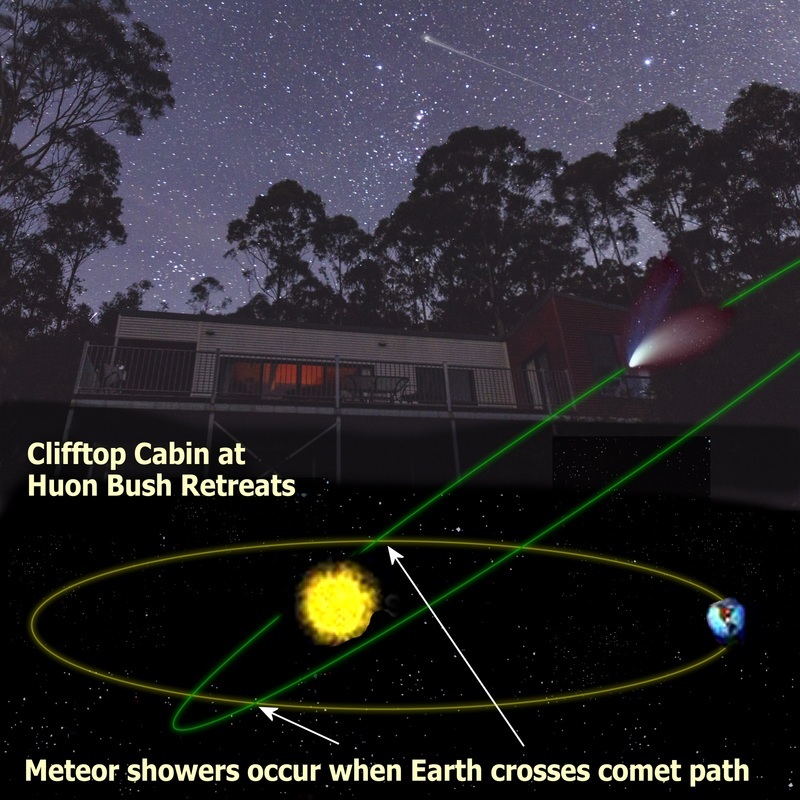 Delta Aquarid is expected to produce 10 to 20 meteors per hour, under a clear dark country sky, like at Huon Bush Retreats or Buttongrass Retreat. You don’t need to locate a shower’s radiant point to enjoy the meteors, but the concept of a radiant point adds a new perspective. If you back trace all the Delta Aquariid meteors, they appear to radiate from a point within the constellation Aquarius. That is pretty much directly overhead during late winter in southern Tasmania. Find the Great Square of Pegasus, draw a line to Fomalhaut. That is the very bright star in the dim constellation Piscis Austrinus, or Southern Fish. Half way along that line is the apparent origin of the Delta Aquarid meteors. 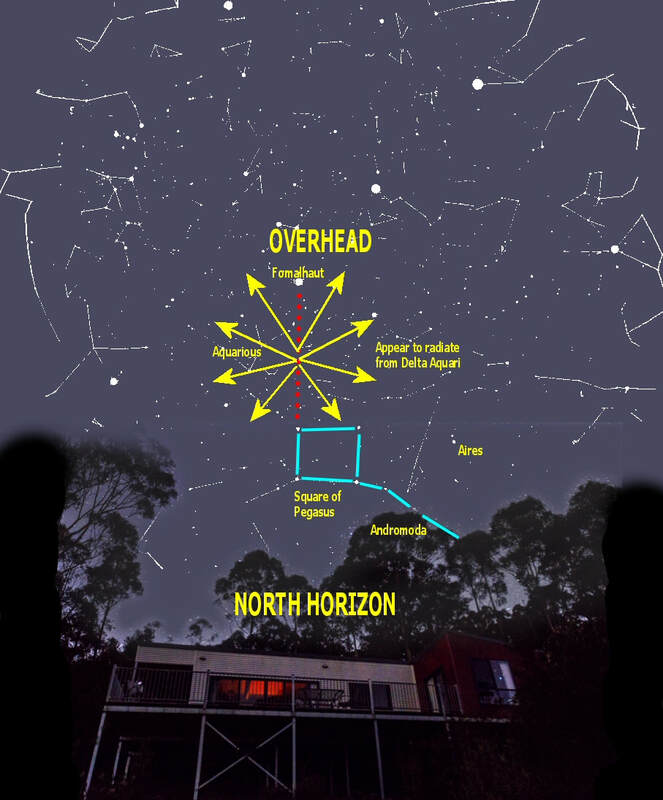 See the graphic of the Southern Hemisphere Star Map, and Clifftop cabin at Huon Bush Retreats. Winter discounts are available. Click here to book now. Will she choose the mystery prize or the money ? It's Megan's birthday and she was chosen to play 7HO FM radio station's "Money or the Glovebox" competition. Megan doesnt know it yet, but the glovebox contains a voucher for a stay at Huon Bush Retreats. ​Will she choose the money or the glovebox? 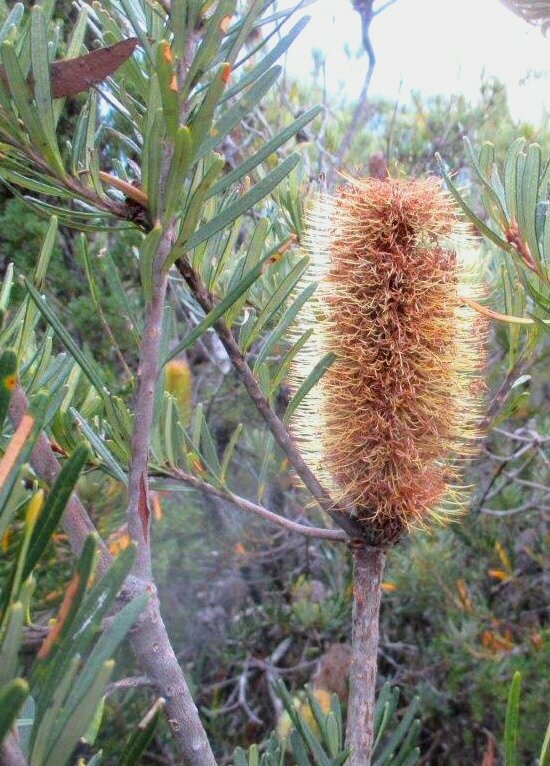 About 45 minutes drive and 20 minutes walk from Huon Bush Retreats, is the worlds tallest flowering plant. Named Centurion (vaguely translated latin for 100), this monster is just short of 100 metres tall. It is surprisingly slender raising the question how does it stay up. The answer is partly the protection offered by the surrounding other super-tall trees. Lightning and wind are common causes of tall tree damage, knocking the top metres off. 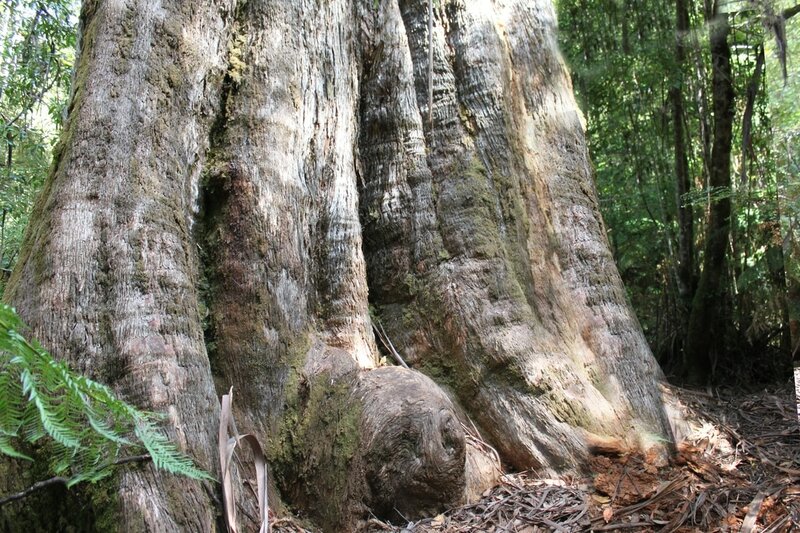 Centurion is protected by other trees around 80 metres and is on a slope protecting it from the westerly winds. Another risk to very old trees is disease. 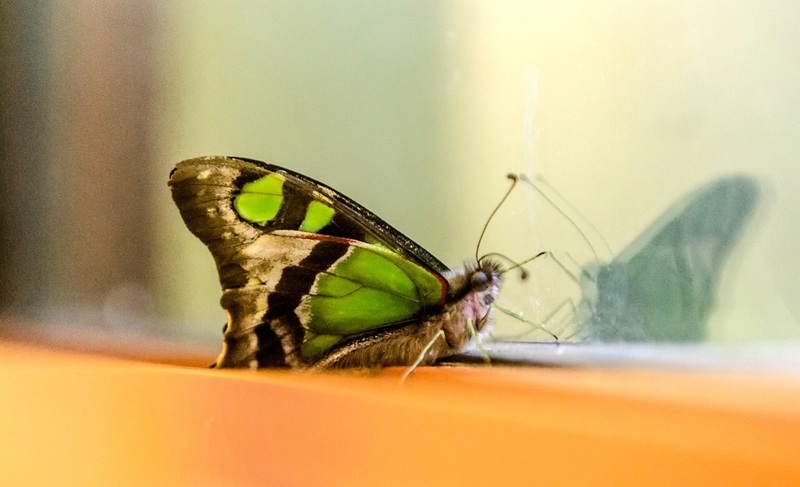 It is really important to thoroughly clean your shoes before visiting a native forest. Great attention to all the little crevices with a scrubbing brush dipped in a tray of bleach does the trick. Be sure to remove your laces and complete the cleaning process with the shoes off your feet. You might like to choose an old pair of shoes so the bleach does not damage your good ones. The walk is quite easy, you don't need fancy walking boots but you do need moderate fitness and good navigation skills. 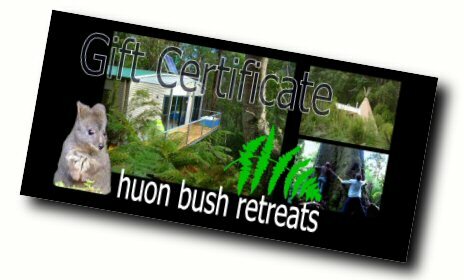 Book at least 2 nights at Huon Bush Retreats and we can loan you a tray, bleach, brush and map. It is quite a challenge to get a good photo. The full height photo shown here is a composite of 3 images. You can now start planning your Sustainable House Day tour as addresses for open houses have just been released! All subscribers go into the running to win an annual subscription to Sanctuary Magazine! 1 night for $185 or 2 consecutive nights for $250, inc up to 2 people using 1 bed. Extra people $40. On Sept 11, you will need to depart your cabin or tipee by 08:00 so we can get it ready for the inspections or checkin after inspections finish at 16:00. 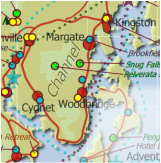 The 2 night rate can be used between Sept 4 to Sept 15 but not 11 and 12. Exactly which cabin you get will be allocated at time of checkin. Lonely Planet says, "swap your smartphone for a pencil or paint"
the worlds leading travel guide suggests to readers, "Swap your smartphone for a pencil or paint...The ease and spontaneity of capturing the world around us in photographs and video clips that can instantly be shared is one of the wonders of the modern age and an activity that's become central to our travels at home and abroad. However, the digital revolution has also left many of us drowning in images delivered daily via Instagram, Facebook, Vine and scores of other social media apps – not to mention struggling with our own ever growing online photographic libraries." 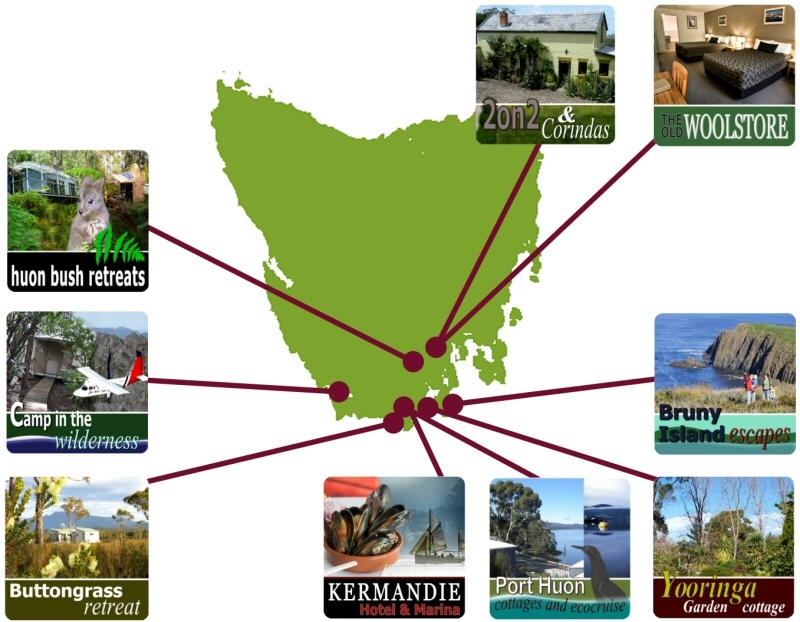 Showcasing the many regions of Tasmania, this video shows there is more to Tassie than just Hobart. 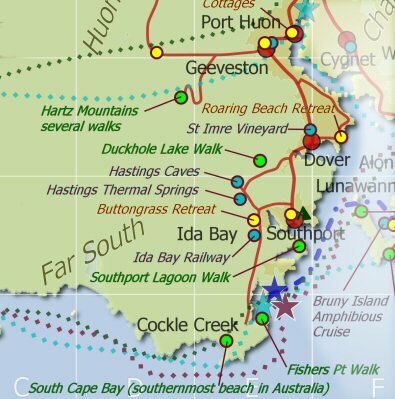 Use Hobart as your gateway, then head south to the Huon Valley, Far South and Bruny Island. Expect to see plenty of shooting stars during the next couple of weeks. At a dark location in the Southern Hemisphere, you can expect to see a meteor every two to three minutes as the Earth passes through the orbit of Halley’s comet. This meteor spectacular runs from around 20 April until about 21 May each year. This year you will have bonus viewing because the orbit intersection coincides with a New Moon. The best time to see the shower, or "shooting stars", will be in the middle of the period. When the New Moon occurs on 6 and 7 May, the sky will be at its darkest, provided you are away from light pollution. New Moons are located between the Earth and Sun so are hidden from night time view. Named “ Eta Aquarids “ this meteor event gets its name from its apparent origin, near the Eta Aquari star in the constellation Aquarius. Of course, the meteor themselves are much closer than the star, it just appears that way due to the arrangement of the orbits and the spin of the earth. 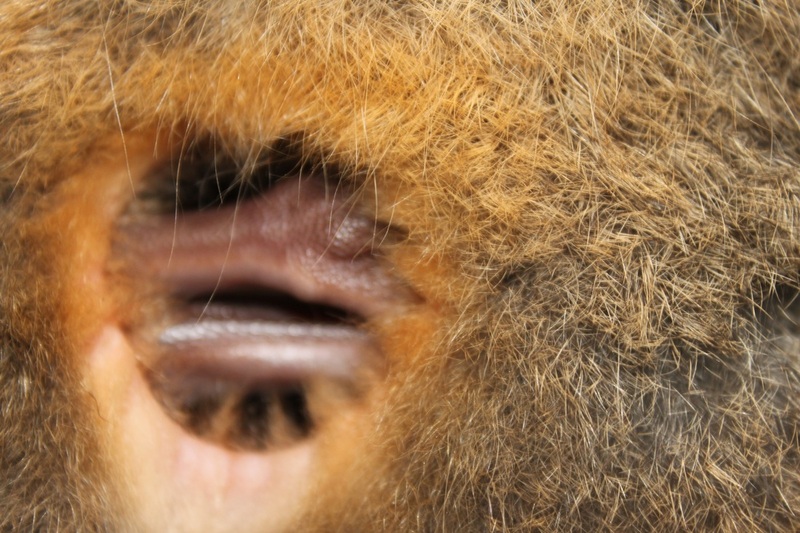 The accompanying composite image shows how this occurs. We are so confident that meteors will be visible that we offer a 33% refund guarantee. Book at least 3 nights at Huon Bush Retreats or Buttongrass Retreat. Your stay must include 3, 4, 5 or 8, 9, 10 May. Yes, it can include the 6 and/or 7 May but those nights are not included in the count of 3. Yes, you can double dip by booking at our already reduced midweek or long stay rates. If there are no new social media images of meteors from this event during your stay, we will refund one night. You cannot claim your refund simply because you didn't see any, because you were asleep or if was cloudy. Add the possibility of an Aurora and you won’t be getting much sleep. 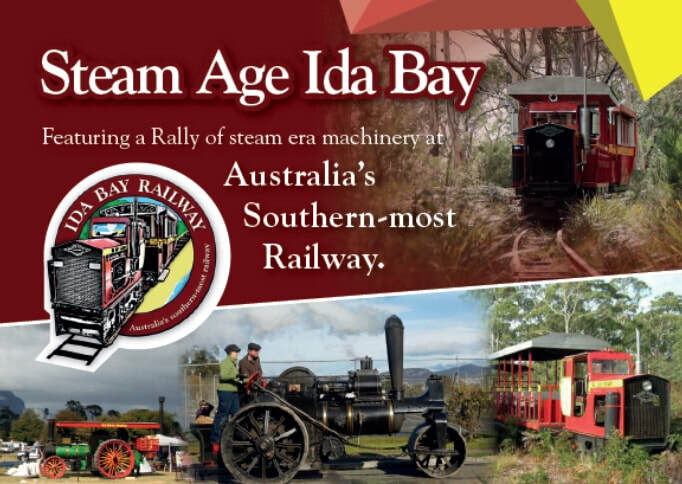 Join us for this fun, family-friendly event, celebrating 100 years of national parks in Tasmania. Bring a picnic and enjoy some great music by the pool. In the awards ceremony for Australia’s best ciders Willie Smith’s 18 Varieties limited edition took out three awards. Judges described Wilie Smiths “18 Varieties” as very true to type – a medium cider in the traditional style – “lifted … with a lingering fruit flavour and an attractive bitterness on finish”. This is a great reward for the entire crew at the Grove organic cider works and cafe. Willie Smith’s 18 Varieties won 3 trophies – Best in Show, Best Cider and Best Australian Cider or Perry. 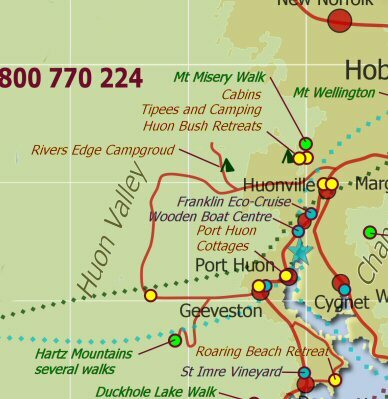 Be sure to include Willie Smiths Apple Museum and Huon Bush Retreats as part of your Huon Valley Escape. 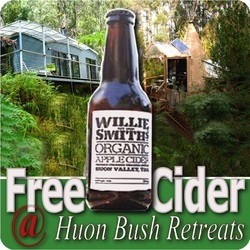 Book 2 nights at nearby Huon Bush Retreats and receive a complimentary Cider Tasting Paddle voucher. 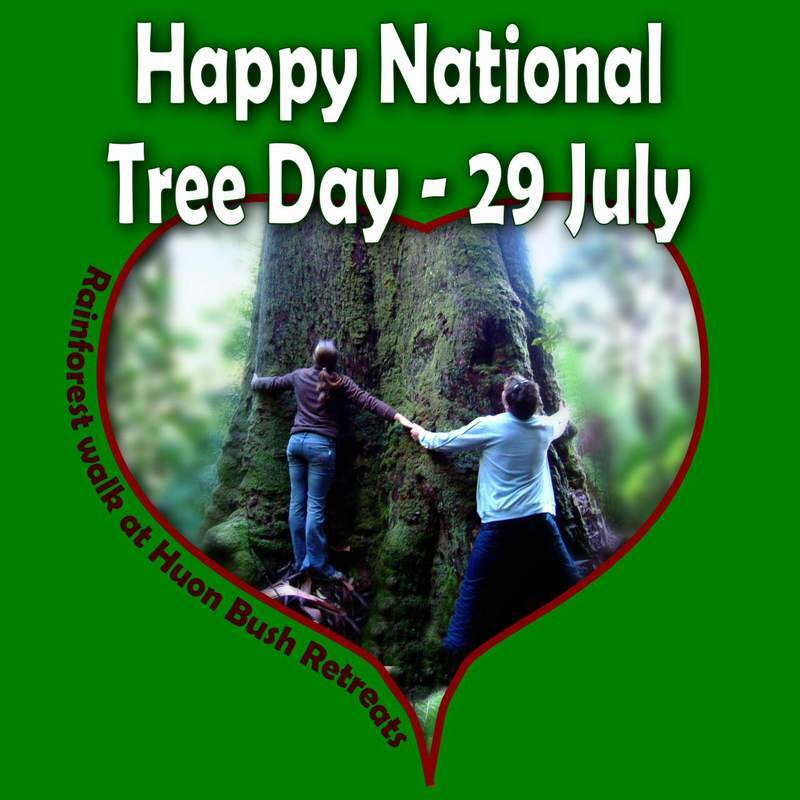 Huon Bush Retreats is ready to implement our Fire Safety Plan tomorrow, the first time this fire season. 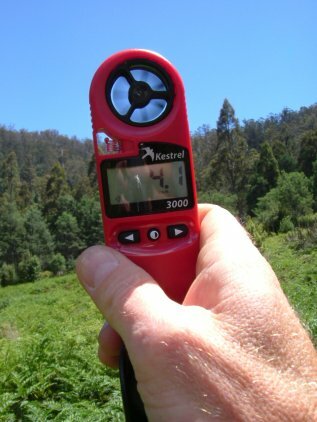 Due to very high winds and locally warm weather conditions throughout today and forecasted very high winds and higher temperatures for Saturday, Tasmania Fire Service has declared a Total Fire Ban for southern Tasmania from midnight 2nd of October 2015 until midnight on the 3rd of October 2015. Throughout the day, we will be monitoring the local fire danger on site and monitoring the TFS website for reports of any fires nearby. 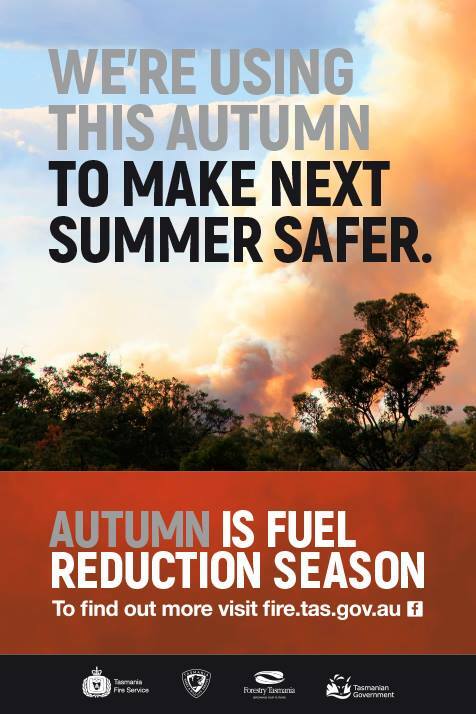 Due to very high winds and locally warm weather conditions throughout today and forecasted very high winds and higher temperatures for Saturday, TFS Chief Officer Gavin Freeman has declared a Total Fire Ban for southern Tasmania from midnight 2nd of October 2015 until midnight on the 3rd of October 2015. Mr Freeman said, Bushfires driven by high winds will be very difficult to control. The bush is already dry in many areas around the state and a prediction of a severe fire danger rating for much of the south on Saturday, which only occurs 3 to 4 times in a normal season, means that a total fire ban is warranted. Mr Freeman added It has been pleasing that many land owners have been conducting hazard reduction burns over the last few weeks to prepare their properties for the bushfire season. However, any fire that has been lit must be properly extinguished prior to the ban coming into effect. With the dry conditions already influencing the bush and grass and predicted winds of over 100kms/h, no fires are permitted in the open. All Tasmanians are asked to take extra care with machinery that emit sparks, such as mowers, slashers, grinders and other cutting tools, as this type of activity has the potential to start fires. For those in the Southern half of Tasmania planning Grand Final day activities on Saturday, only gas fired barbecues can be used. While the ban is in place please avoid non-essential water use. Turning off sprinkler systems and using hoses sparingly will help ensure that water is available for firefighting and protecting properties should it be required. People should monitor the local ABC radio station or visit TFS website (www.fire.tas.gov.au) to keep up to date with conditions. Mr Freeman also said: There are significant penalties that can be imposed on anyone not adhering to the Total Fire Ban restrictions. All fires should be reported by dialling "000". 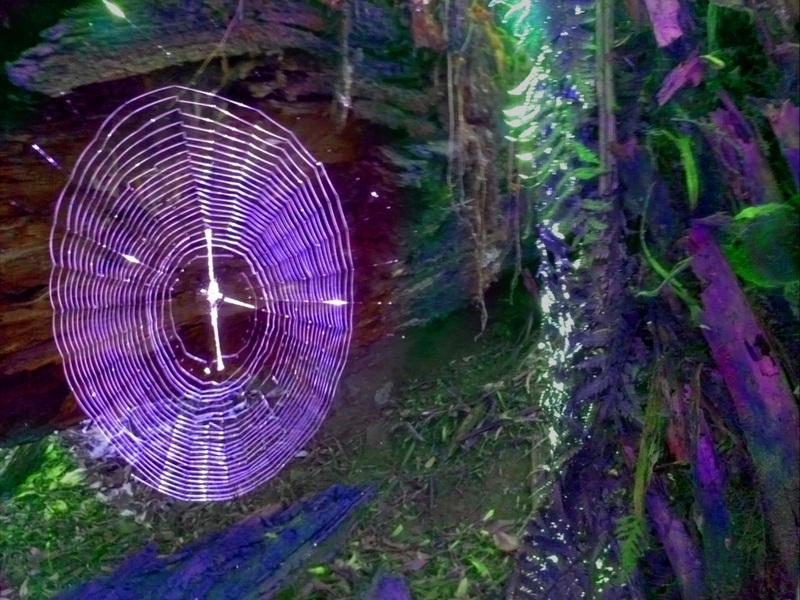 Spring is the time when Tasmanian wildlife is most interesting. 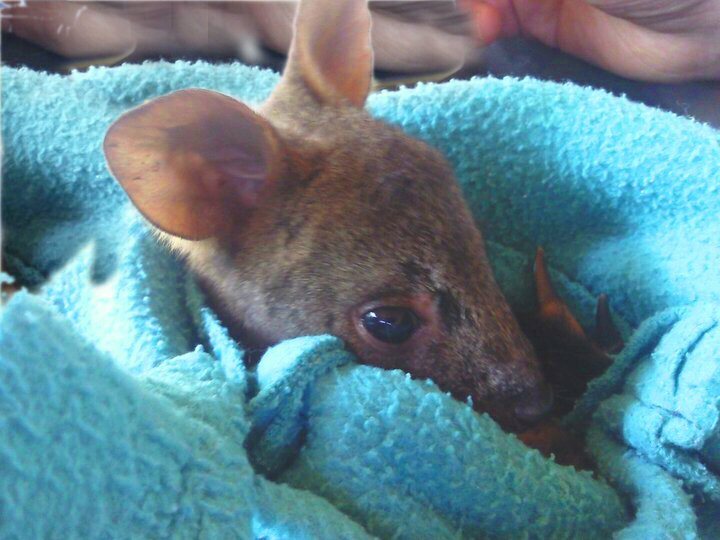 Sadly it is also the time when orphaned joeys need rescuing from mothers killed on the road. Read more about raising or orphans and their return to the wild, eventually to raise their own joeys. 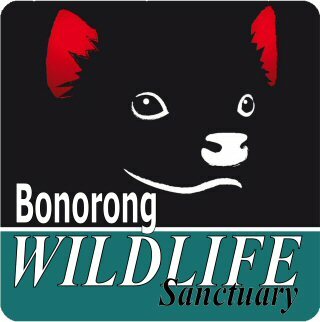 Bonorong Wildlife Sanctuary operates Tasmania's wildlife rescue service. Bonorong provides first response, assessment and then finds foster carers. To reduce the likelihood of killing wildlife with your car, drive slowly from dusk to dawn, particularly in areas where special wildlife notices are displayed. Fi is one of the resident wallabies at Huon Bush Retreats. 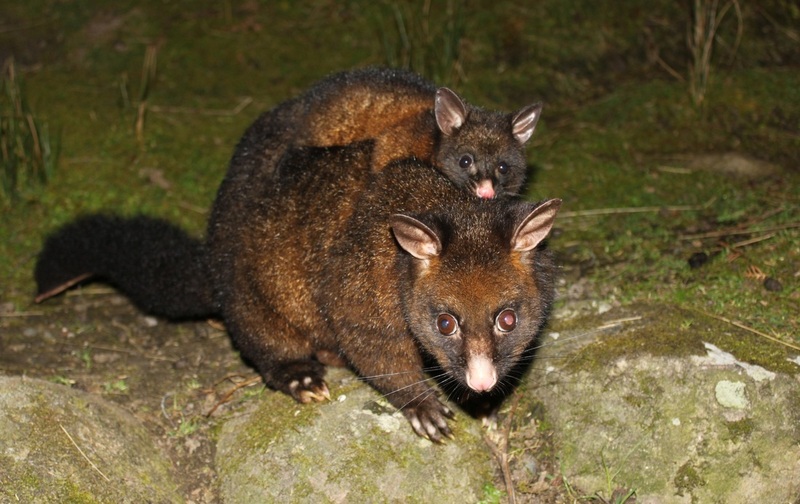 Hand raised, in the suburbs of Hobart and brought to Huon Bush Retreats for release, she is now 3 years old and her 2nd joey is quickly growing in the pouch. For the first couple of months after being born, the joey has been attached permanently to the teat. But now, as the joey grows, it has released the teat and begun squirming in the pouch. Now, Fi's joey is stretching its legs and will soon be too big to fit entirely in the pouch. The little feet will soon begin feeling the cool springtime air, quickly retreating back into the warmth and security of mum's pouch. 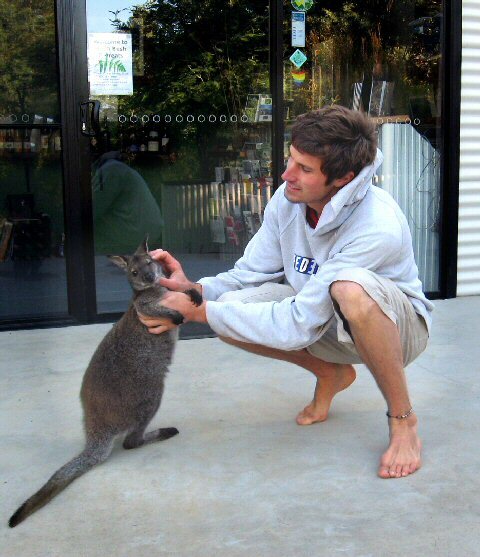 Many of the native animals at Huon Bush Retreats have been hand raised as orphans, so are quite friendly. Though they are released into a near natural habitat, some will still seek out human contact for the first few years. 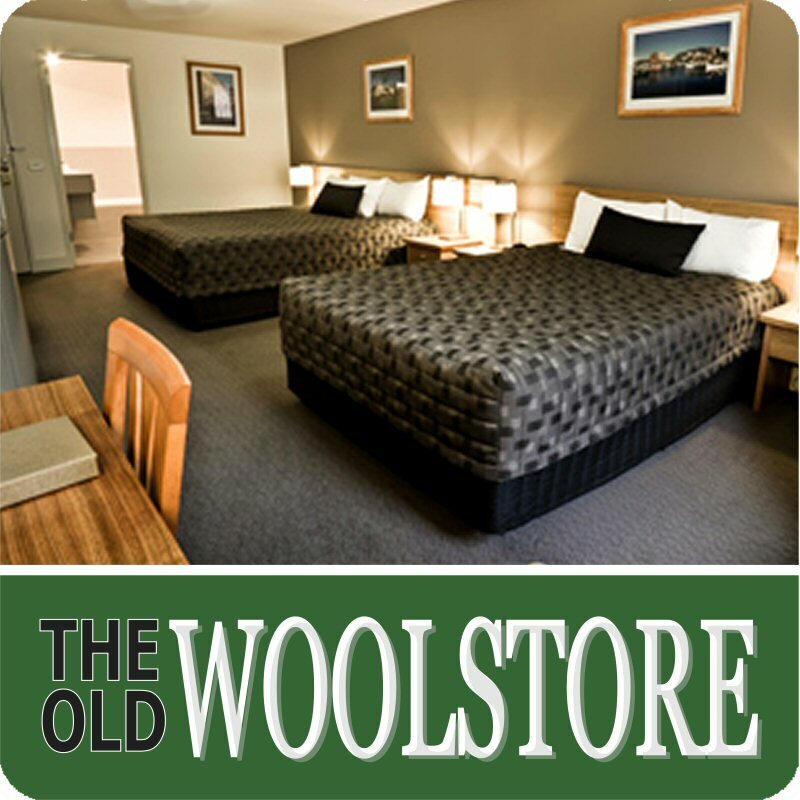 What do people think about The Old Woolstore ? 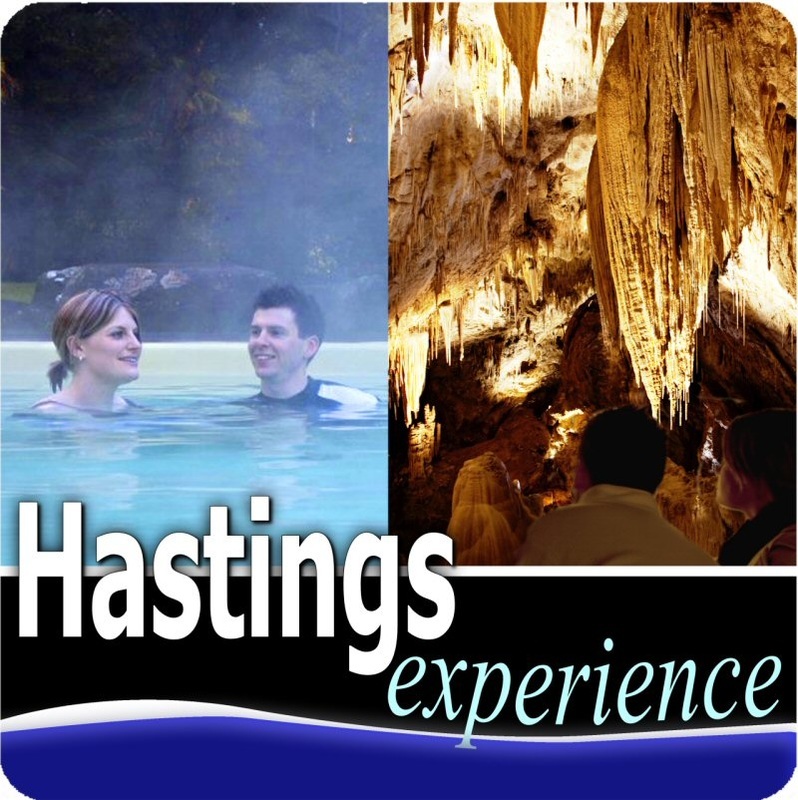 What do visitors think about Hastings Caves and Thermal Springs ? 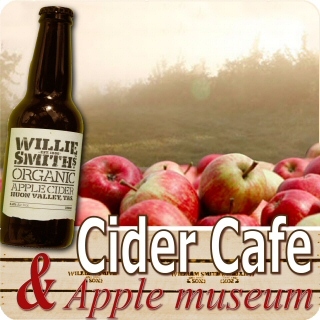 What do people think about The Apple Shed and Willie Smiths Cider ? This review was recently posted on Trip Advisor. "I went to the Apple Shed for dinner and some folk music tonight. I had the best night out I've had in years. Nice food - nothing pretentious, just filling and well prepared, oh my god the apple pie with Valhalla vanilla ice cream. And the cider! Seriously worth the visit just for that..."
A lower Australian dollar means more international tourists, more demand and higher prices. Here are some tips to help you get affordable accommodation and still have a great holiday. When checking which accommodation is the best deal for your particular circumstances, beware of just looking at the nightly rate. 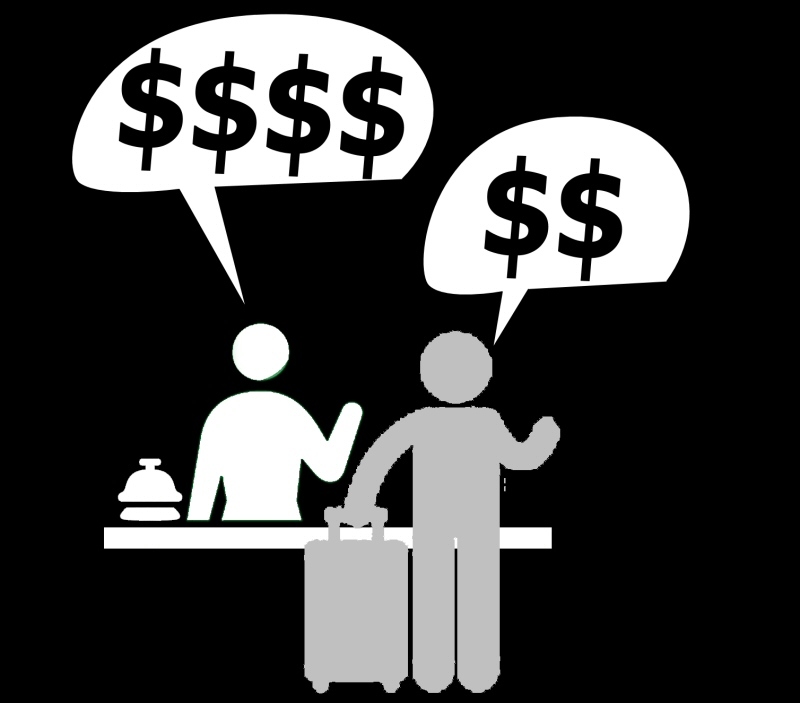 There are so many other factors to consider to help you save money, both before you book and during your stay. January in Tasmania is chaos ! Everything is booked months in advance. There are so many stories of people who risked last minute bookings, not being able to find anything and spending nights in their car. As well as room shortages, January prices will be highest, sometimes double what you would pay in December or February. In rural areas, avoid the weekend. Locations 1 or 2 hours outside the city are popular with city workers, so properties raise their rates on Fridays and Saturdays. In some cases, Sunday through Thursday nights are half what you pay on a Friday or Saturday. In Hobart city, business-minded hotels have high demand from conferences and business travellers. Hotels that get the majority of their business from professionals drop their prices when demand is low, on weekends and holidays. So you can get a standard room at a lower rate or a luxury room at a fraction of the normal cost. During winter, some properties offer the second night for as low as $10 per person. Staying in city centre hotels will save you transport costs if you plan to use the city centre. A 10 minute walk to the docks or museum rather than a 10 minute drive will save fuel and parking costs. Conversely, rural accommodation properties are usually often cheaper, cheap eateries are plentiful and parking is convenient. When you stay longer, the accommodation provider can spread the cost of cleaning between guests, over more nights. This means that multi night stays are usually cheaper, per night, than single nights. This applies most to self contained cottages that are not serviced every day. If your group is larger, an apartment or holiday home can cost much less than adjoining or separate hotel rooms. They offer more space and have separate bedrooms, so the adults don’t have to go to bed early when the kids bedtime arrives. Stand alone holiday homes or self contained cottages are the obvious choice but many hotels also have apartments. If you are traveling alone, a simple room in a city hotel or a classic country pub might be just perfect. 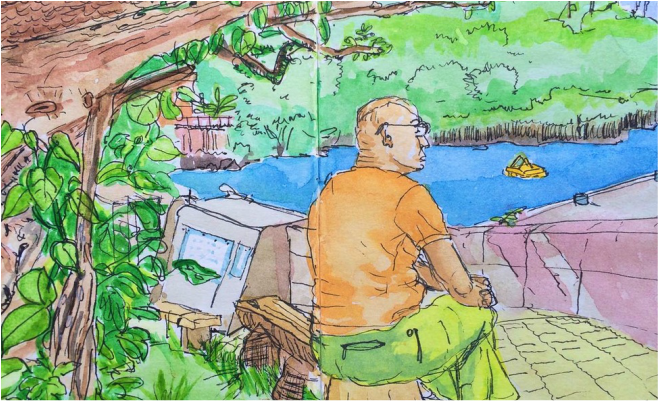 Dump your stuff, a hot shower, then head out to the pub and meet the locals. The more essential services that the price includes, the better the bang for buck. But make sure they are features you will actually use. Common inclusions that can save you heaps are free parking, included breakfast, or free Wi-Fi. A room with a kitchenette or cabin with a full kitchen, will allow you to self cater and feed yourself for half the cost. If you look out for local specialty ingredients that you can cook yourself, you will also learn a little about the area and its fresh produce too. Breakfast in bed or a midnight snack can be a romantic treat, the room service menu can more than you would pay for the same food at the restaurant downstairs. 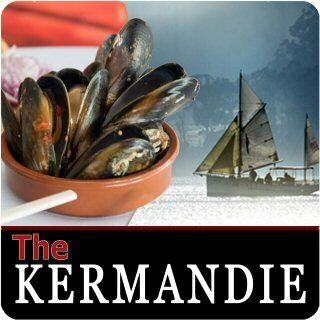 But be sure to treat yourself sometimes and enjoy a full service meal of local specialties and local wine or cider. Sign up for the newsletter and be the first to know about special offers and discounts. Is it worth gambling on last minute discounts? Left over rooms can sometimes be found at bargain rates. If you really don’t care where you sleep and you just want the cheapest rate, maybe consider leaving your booking till just one or 2 days out. But if you are looking for a particular experience or particular location, use the tips above and book a month or more before you travel. A few extra dollars will seem well spent when you find yourself enjoying your perfect dream escape. A short break can be just what you need and off peak flights can be quire cheap. But if you need to travel during peak season, try to stay a week or longer and spread the flight cost over more days. The major icons on the East and West Coast can be crowded and expensive. Many people think that there is nothing south from Hobart, but there is a world of adventure. Waterways, wilderness, wildlife and wine are in abundance. This road less traveled through the Huon Valley leads to the southernmost place in Australia. Now that’s something to tell your friends ! Tasmania has long been known for its nature but Hobart is now becoming famous for events and art. Consider spending the weekend in the city, then come Monday, head to the countryside or wilderness. Some self catering, a few full service treats of local specialties. Free sightseeing, plus a few special activities. 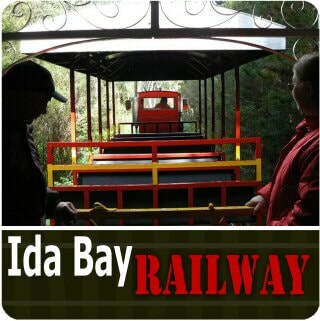 Mix it up and get the best of Southern Tasmania at bargain rates. 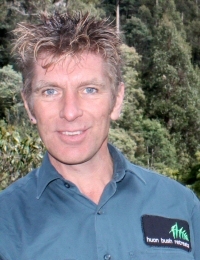 The Landcare conference is in the Huon Valley this year. 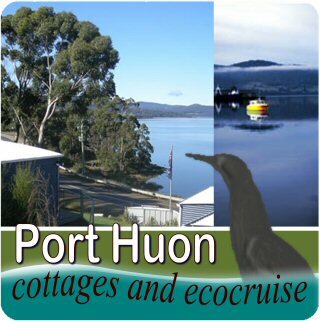 We have accommodation available nearby at Huon Bush Retreats (a Landcare site) Port Huon Cottages and The Kermandie. To book phone 1800 770 224 from 8am to 8pm 7 days. Registration 2pm for 2:30pm start. Departing: Huonville (private trasnport required). There are 4 workshops concurrently that you make choose from. Details released next week! Tasmanian Landacare Awards Ceremony and long table dinner by Roy Leurs and the students of the Huon Trade Training Centre made from local produce. Dinner tickets include drinks and transportation options available to and from the event. 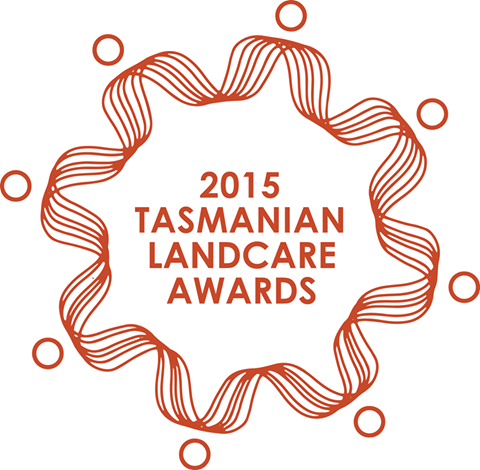 Eco-accommodation, bushwalks and at a Landcare site. 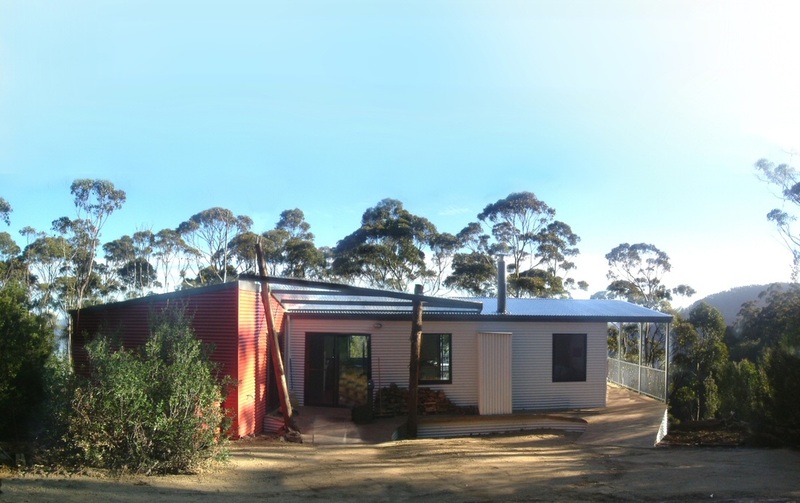 Set in an extensive private nature reserve near Huonville in the Huon Valley, Tasmania. 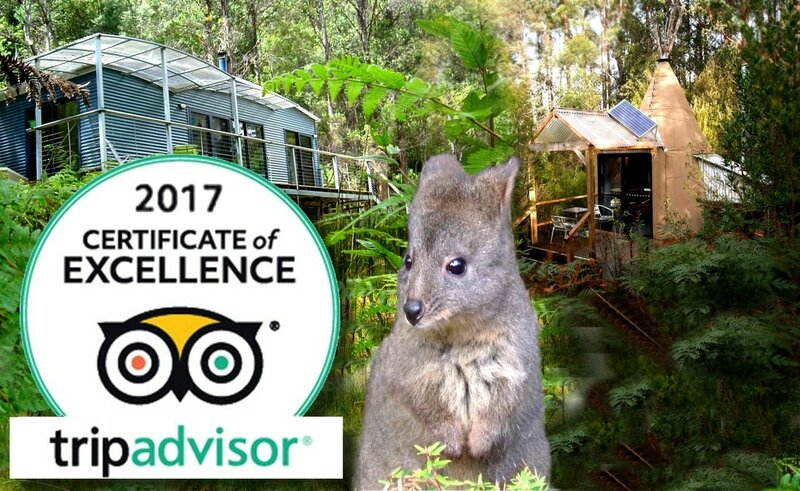 This award winning, carbon positive eco-village, offers a choice of contemporary, self contained cabins, deluxe tipees and private campsites against an inspiring backdrop of Tasmanian native forest. 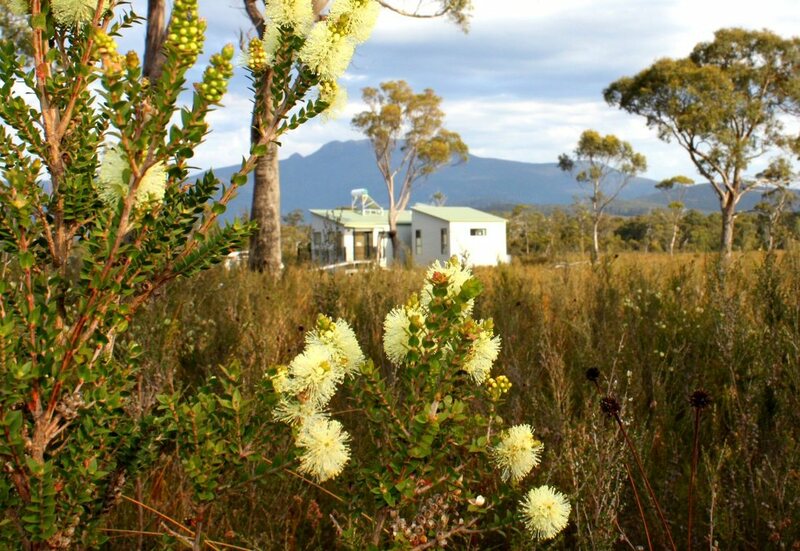 Just 50 minutes drive south of Hobart, we offer a true retreat in a peaceful and secluded environment with a 5km bush walking track network, an abundance of wildlife on your doorstep. A strange thing to say? Read more about Frédéric Gros, a philosopher of walking. Strictly speaking, he's actually a professor of philosophy who writes about walking. Scroll down past the advertisements to see the article.